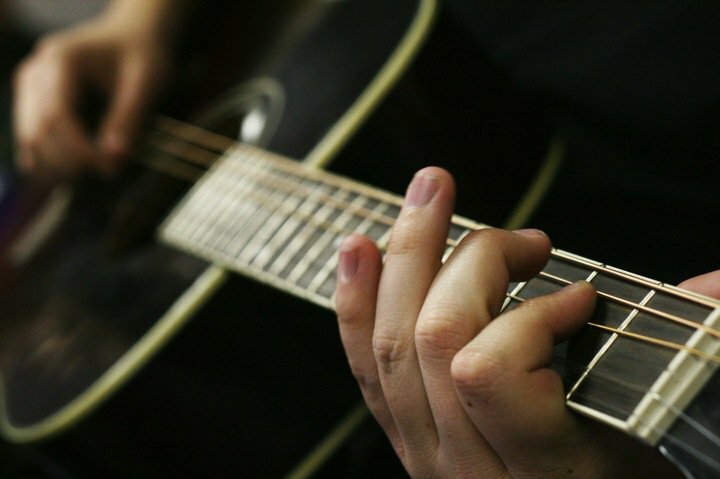 Guitarist; Connecticut's official troubadours usually play at least one stringed instrument in their performances as ambassador of music and song. Photo by Photo4jenifer/Flickr (Use Permitted with Attribution/No Derivative Works). 2016-2018 Kate Callahan. "Kate was selected as Connecticut’s 2016-2018 State Troubadour because of her captivating voice, strong musicianship, compelling personal story and love of and commitment to Connecticut" (CT.gov). The Boston Globe said: "Kate Callahan has garnered an appreciative audience with her easygoing vibe and inspirational, at times mystical lyrics." 2013-2015 Kristen Graves. The Connecticut Office of the Arts announced Kristen Graves of Fairfield as Connecticut's State Troubadour for a two-year term, from January 2013 to December 2014. 2011-2012 Chuck Costa. The Connecticut Commission on Culture & Tourism announced that Chuck Costa of Madison as Connecticut’s State Troubadour for a two-year term, from January 2011 to December 2012. 2009-2010 Lara Herscovitch. 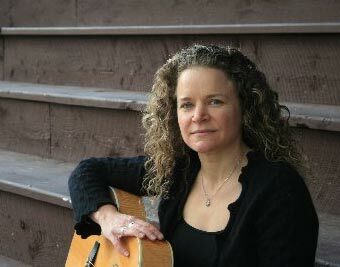 The Connecticut Commission on Culture and Tourism appointed singer-songwriter Lara Herscovitch of Durham, CT as State Troubadour for 2009-2010. Lara's music is an original blend of acoustic/folk, flavored with pop, Latin, jazz, and blues. Lara Herscovitch was recommended by a panel of music professionals which included the 2007-2008 state troubadour, Pierce Campbell. CONTRIBUTORS: Content for this article was submitted by Tom Callinan, 1st Connecticut Troubadour. Lara Herscovitch: Connecticut state troubadour 2009-2010; photo by D. Pagnucco from the official Lara Hersovitch website (all rights reserved, used by permission). 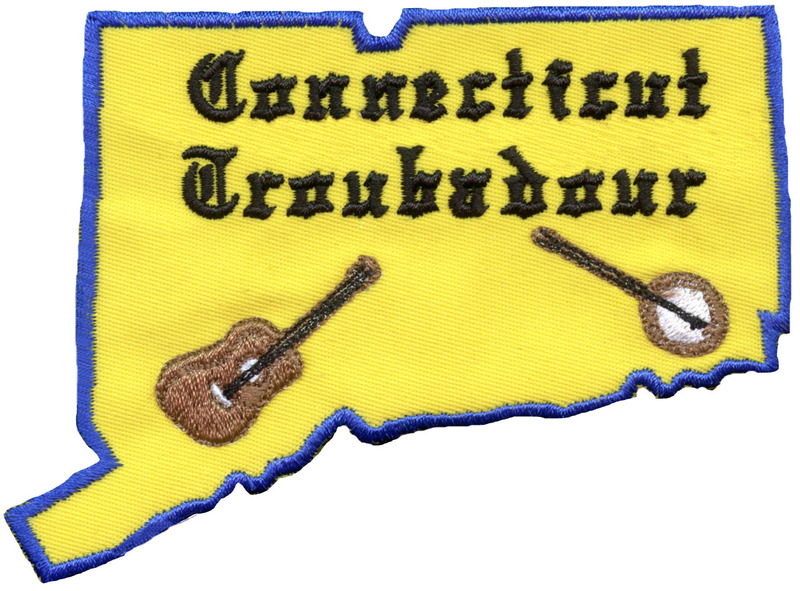 Connecticut Troubadour patch (unofficial) designed by Tom Callinan, Connecticut's first official State Troubadour, appointed in 1991. It depicts the outline of the state of Connecticut in royal blue, with the text in Old English font (to hearken back to the troubadours of old). An acoustic guitar and banjo are on the left and right, respectively, each canted upward toward the center of the golden background to reflect two of the main instruments of modern-day singer/songwriters and folk musicians. Image by Tom Callinan (all rights reserved; used by permission).